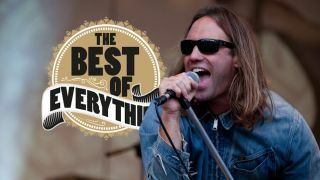 The best of everything, every day on TeamRock.com. Alright now. Glastonbury quartet Reef rose to fame after their song, ‘Naked’ was featured in an advert for Sony MiniDisc in 1995. They released five studio albums – Replenish (1995), Glow (1997), Rides (1999), Getaway (2000) and Together (2003) – before going on hiatus in 2003. They announced their reunion in 2009 and have toured regularly ever since. For up to date into on Reef, visit their official site.